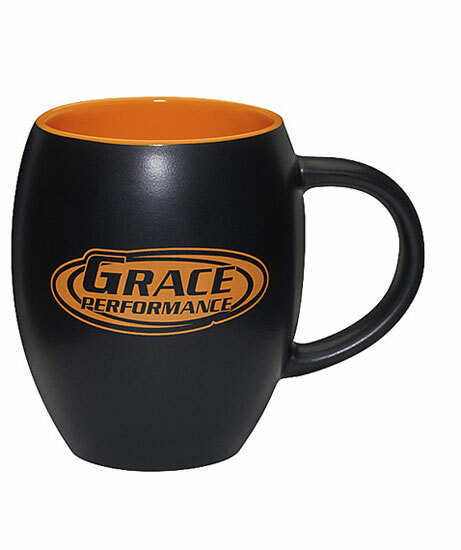 Orange Matte Barrel Mug perfect giveaway for Multiple Sclerosis Awareness.A new update to an old classic barrel shaped mug with color interior. Made of Ironstone ceramic. Bulk / 29 lbs / 24 pcs. Price includes a one imprint in one location. A set-up charge is additional at $55.00 per color. Multiple imprint colors are available at $0.35/ea per color.